NOTE: The show was initially filmed for a DVD release but ultimately, Nettwerk decided not to release a dvd. However, an audio CD was released titled Back and Forth 5: Doomsday. This CD contained an edited version of the show. Several tracks were removed due to time issues. They were Choralone, Nature's Revenge and Smothered Hope. Hardset Head was to appear on the CD, but got pulled at the last minute. 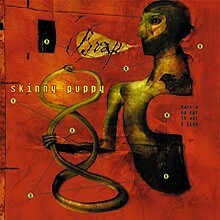 A mp3 of the track appearred on Nettwerk's website and on Back and Forth 6.
formerly titled "The Vault of Skinny Puppy."